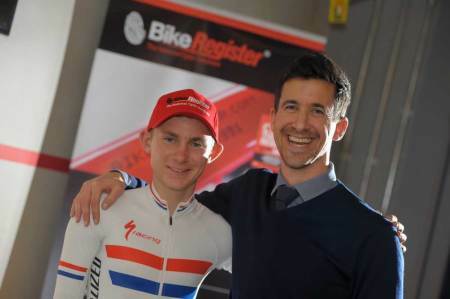 We are delighted to announce that BikeRegister is sponsoring cycling sensation Daniel Tulett, who has already caught the eye of British Cycling as a future Olympic hopeful. The talented 15-year old from Shoreham in Kent is a six-time national champion and has already been dubbed The Mighty Atom for his strong performances. Dan has been fast-tracked onto British Cycling's Olympic Development Programme two years early, a sign that he is seen as a medal prospect in years to come. Daniel's rise has been meteoric to say the least, but his talent on a bike has been there from an early age. Allister said: “When Dan started to win races, I packed my cycling in and started taking him to competitions instead. He races about 40 times a year, so it is a heavy schedule." Undoubtedly dedicated, Daniel is also keenly aware that he has to balance his cycling with his education. BikeRegister will support Dan with branded cycle gear and accessories.